Ooooommm… ooooomm… breathe in… breathe out… Yoga is the perfect exercise to release you from all mental stress at the end of a long day. However, serious yoga practitioners and gurus will be quick to remind you that much more than just an exercise, yoga is a way of life; one which encompasses the five principles of yoga that enables you to maintain a healthy body and mind. The five principles are proper relaxation, exercise, breathing, diet and positive thinking and meditation. Thinking of what groceries to buy after class or mentally reliving a confrontation with your boss earlier at work are examples of two big no-nos during a yoga class. The true benefits of yoga can only be unlocked when you are able to leave all worries at bay and train your mind and body to achieve total relaxation while performing the exercise. The yoga postures or Asanas coupled with proper breathing techniques strengthens and tones the muscles while maintaining flexibility and suppleness of the joints and spine. Yoga exercises are suited for modern day executives as it helps them loosen the knots from their muscles after long hours of computer usage; and leave them invigorated and recharged for another day in the office. 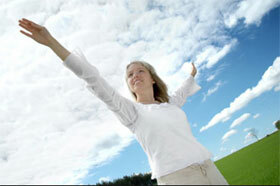 Yoga breathing exercise or Pranayama means the regulation of breath. When performing Asanas, breathing should be rhythmic, deep and slow in order to fill the lungs fully and increase oxygen intake. In order to achieve proper breathing, one must be aware of the duration and length of one’s inhalation and exhalation; and learn to regulate them while performing the yoga postures. This helps one to maintain a calm and focused mind during yoga. Having a fantastic one-hour yoga session and then running off to gorge on a steaming plate of mee goreng down the street will reap you no rewards at the end of the day. 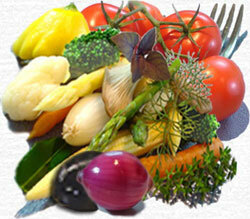 A healthy and well-balanced diet is highly important in yoga to nourish the body and mind. It is no wonder that most yoga gurus are vegetarian and live on a diet that consists of fresh fruits, vegetables, beans, grains, nuts and seeds. However, this does not mean that it is compulsory for one to be vegetarian in order to practice yoga. But one should strive to maintain a diet that is wholesome, natural and taken in moderation. And finally, having peace of mind completes the five principles of yoga. Positive thinking and focus helps to purge your mind of all negative thoughts and maintain a happy and positive outlook on life.